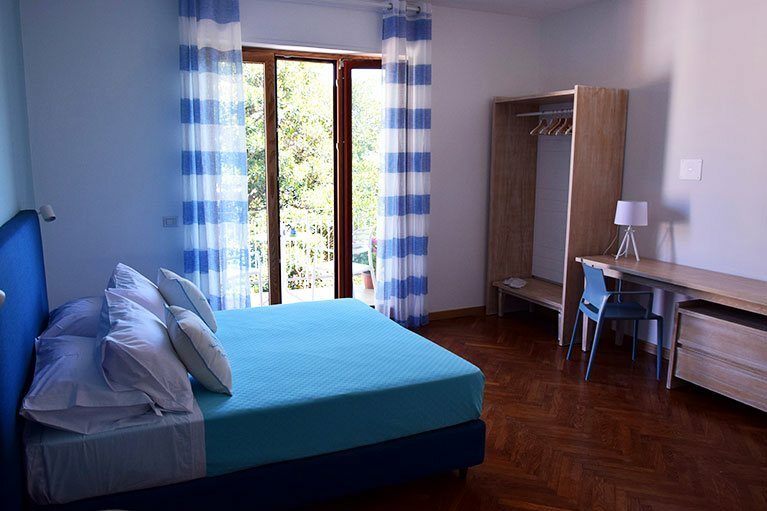 Sorrento Central and Sea View Flats are a fantastic value option for families or small groups in one of Italy’s premier seaside destinations. The Sorrento Central and Sea View Apartments are two bright and luxurious seaside holiday apartments designed to offer families and small groups a fantastic accommodation option in one of Italy’s finest destinations. Each apartment has two matrimonial bedrooms and two bathrooms and is located in the heart of the action in Sorrento. Sorrento Sea View and Central Flats are located few steps from Piazza Tasso in Sorrento, with view on the breathtaking Sorrento gulf and the Vesuvio. From our flats it's very easy to reach the port and the train station. The flats are furnished in a modern and elegant style. Both flats have very big balconies with sea view on the gulf which inspired the famous singer Caruso. 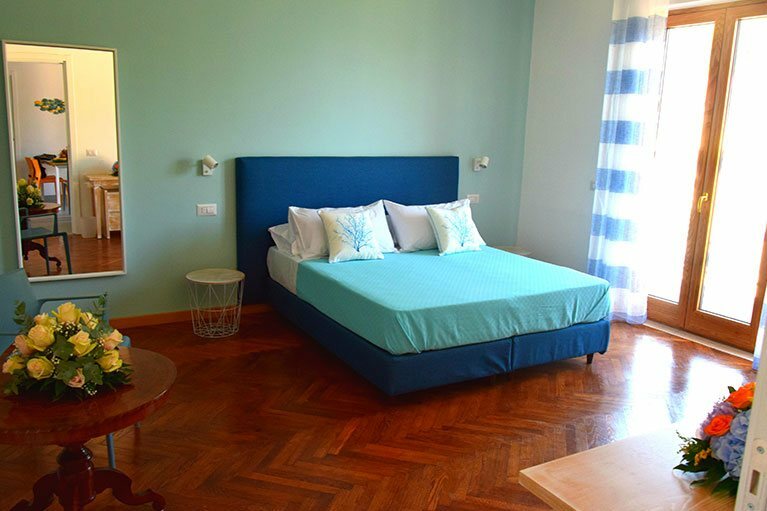 At our fine quality value for money self-catering holiday apartments in Sorrento we offer you the options of bike or car rental, airport transfers and free wi-fi in each accommodation. Check-in/out times can be flexible, just let us know when booking here on our official site if you have any special requirements. The Sea Apartment is so named thanks to its panoramic views over the Bay of Naples - a truly magnificent sight and the perfect place to while away those early evening hours before dinner on the Marina. Free wi-fi and satellite TV come as standard. Two bedrooms plus living area, kitchen and two bathrooms. Daily cleaning service upon request for a supplement. The Sorrento Central and Sea View Flats are two very large and airy self-catering holiday apartments in the seaside resort town of Sorrento near Naples in the south of Italy. Both apartments are located in the centre of town and offer a stupendous view of the bay and the Vesuvio. Each apartment has two large double bedrooms and two refreshing, brightly tiled and spacious bathrooms, as well as a kitchenette and dining area and living room space. Wi-fi is included in the rate, as is climate control and satellite TV. Check in/out is flexible so please let us know when booking here on our official website. For an extra supplement we can organise airport transfers, daily cleaning, laundry, ironing and shoeshine service and also bike and car rental. Pets are usually welcome but please let us know in advance. Book right here on the official website of the Sorrento Central and Sea View Flats and you’ll be dealing directly with us, so you can communicate any special requests or requirements, contact us with any important information and most of all, rest assured that you’ve got the lowest rates possible for our holiday accommodation in the sun.